Alternative Investments Forum - Tricap Partners & Co. The last several years have seen the investment banker-led auction become a common method of selling businesses. Private equity funds in particular actively participate in auctions, and they follow the rules dictated by the lead banker and the seller, only to find themselves failing to be the successful bidder. For many private equity funds, the same techniques used in failed bids are tried over and over again, resulting in repeated failures and frustration with the M&A auction process. 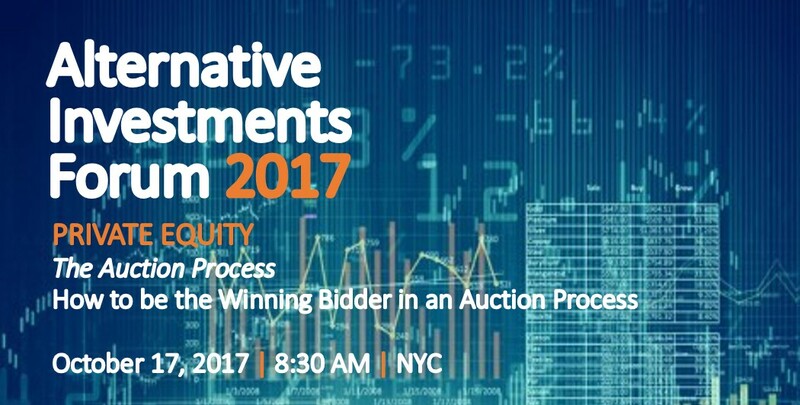 Join the conversation on October 17, 2017 at Pepper Hamilton LLP as senior-level professionals address the main issues pertaining to “The Auction Process – How to be the Winning Bidder in an Auction Process.” The Alternative Investment Forum is focused on senior-level professionals from investment banks, private equity firms, hedge funds and family offices.